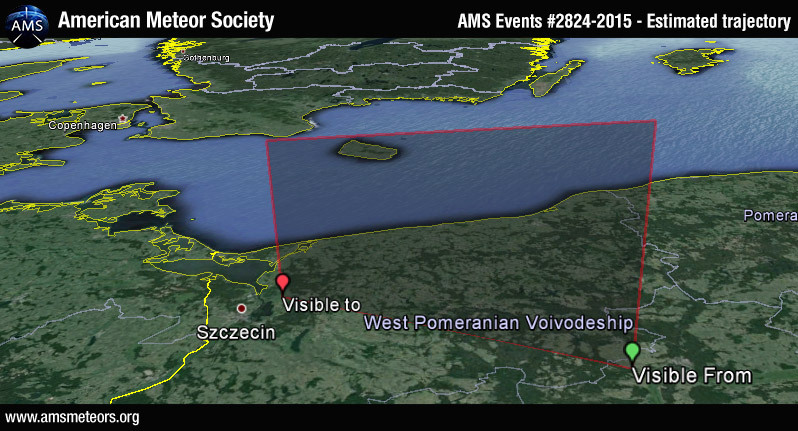 The American Meteor Society and the International Meteor Association received over 60 reports so far about a fireball event over the Eastern Poland on Saturday, October 31st 2015 around 18:05UT. 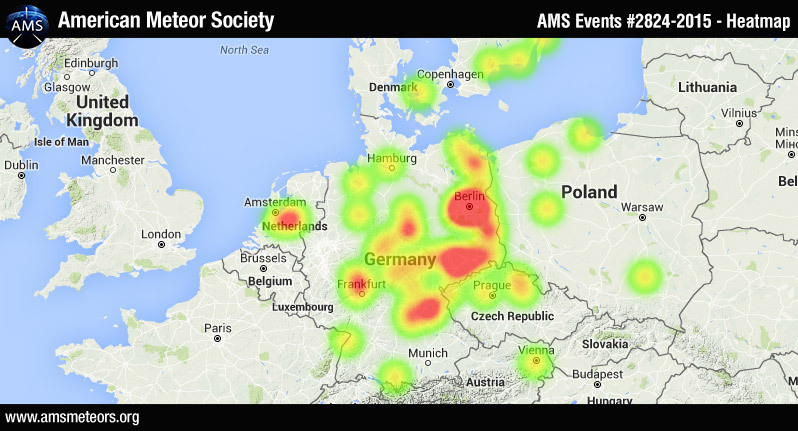 Observers from as far the Netherlands and Austria reported seeing a bright light in the sky. Below is a heat map of the witness reports. The preliminary estimated trajectory plotted from the witness reports shows the meteor was traveling from the SE-NW and ended its (visible) flight few miles east of the German Border. If you witnessed this firebal please fill out an official fireball report.